January's Art Elements challenge is sponsored by Lindsay Starr. Since the theme is the moon and is open to any media I had to give lots of thought to this. This is a theme that I have used in the past and loved. Just last year I made this pearl and pewter necklace which I love. It is available in my shop. challenge is sponsored by Lindsay Starr. Since the theme is the moon and is open to any media I had to give lots of thought to this. This is a theme that I have used in the past and loved. Just last year I made this pearl and pewter necklace which I love. It is available in my shop. 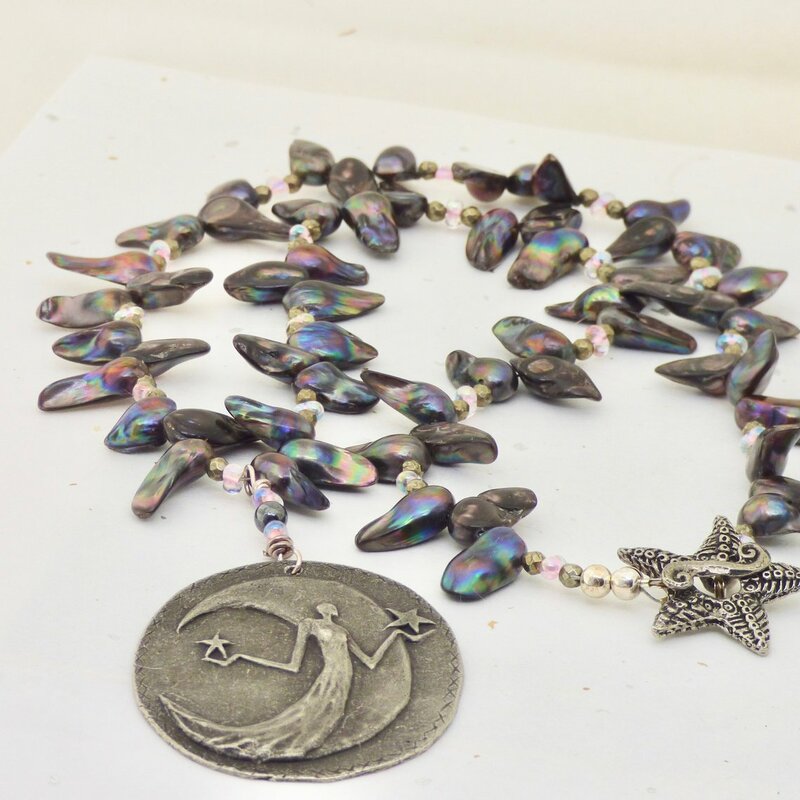 This celestial necklace has a pewter pendant of lady with crescent moon and stars. The gorgeous necklace is made with gray blister pearls with hints of pink. The pink is highlighted by the use of tiny pink beads and small silver bead to give some additional sparkle. The pewter starfish clasp is made by Green Girl Studio. The pewter moon and star pendant is by Inviciti. This is a lovely piece of art jewelry. I had such fun with December 2018's Art Elements Scene Challenge when I made wire flowers for my daughter's garden. I enjoyed the project and my daughter loved the flowers. I felt so good about this project that I decided to make a wire moon for my patio door. I wanted it for decoration and as a visual caution to prevent folks from walking into the glass. The Super Blood Wolf Moon lunar eclipse was big news in January 2019 and it caught my attention. After all, it isn't every year that this happens. Lunar eclipses can occur only during a full moon, and this one was extra special because it was also a supermoon. 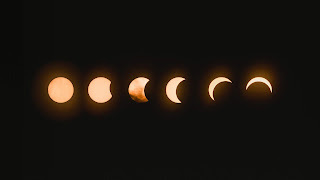 A lunar eclipse occurs when the Moon is full and passes into the shadow of the Earth. 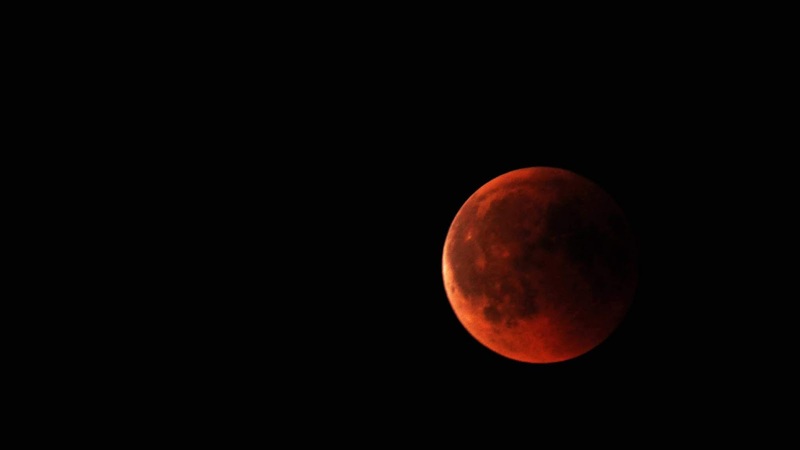 This causes the usually bright full moon to turn a dark, coppery-red. Depending on weather conditions, it may appear rusty, brick-colored or blood-red. 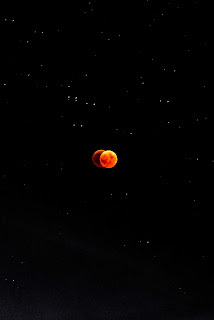 Hence, this eclipsed moon is nicknamed the ”Blood Moon” in the media. It certainly creates more drama with "blood". I have to admit that the "wolf" part added to my interest. 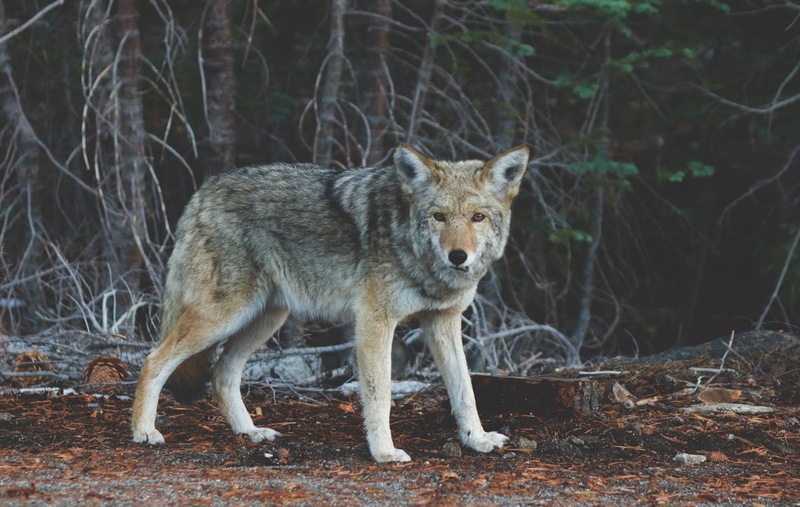 Why a wolf? Each moon has its own name associated with the full moon. In January, it's known as the "wolf moon". According to the Old Farmer's Almanac, the name was inspired by hungry wolves that howled outside of villages long ago. My color palette was created with these visuals of browns, red, oranges, yellows from the super blood wolf moon in my mind. Since I used 16 gauge wire in my flower project, I thought I would use it for this. I then switched my thoughts from the black wire that I used previously to copper wire. I love copper and I decided it would look great with my color palette so I used 16 gauge copper wire. There was my first mistake. I also used 28 gauge copper wire. This decision I am still wondering about. I might want to up thickness on that wire. I then gathered all of my quartz chips and clear beads in my color palette and strung them on the 28 gauge wire. I did this bead by bead by hand picking each one with care. I selected beads that I thought were the best size and color. This took much longer than I thought it would. In the beginning all went well but the more I wrapped the beads around the wire, the more I noticed structural problems. I didn't want to use heavy copper wire to shore of the design for artistic reasons. I used some Washi tape instead and it worked surprisingly well. I really had to force myself to finish this. I am viewing this as a prototype of a future attempt. I have to regard this as a learning experience. Any suggestions for my future attempt, are appreciated. Thank you Lindsay Starr for hosting challenge. I used the same pendant Kathy! I have more too, that I got too late to use! I don't have suggestions for wire because I don't think I'm that good at it - or maybe don't have the patience for it. But the inspiration is there and I'm sure you'll figure something out! Kathy, I know all about learning experiences. My project for this challenge was also a "learning experience." I think your beaded moon looks great, but I'm sure you see all the flaws. I do love me some washi tape for securing things. In fact, I used some while working on my project too. Ha! Here's hoping you are able to engineer your next attempt better as I think this will be a beautiful finished piece for your door!! I often underestimate the weight of glass and stone beads if I have a whole bunch of them in one piece together. Acrylic beads might be one solution although I'm not too fond of them myself. The design is beautiful and the color palette is gorgeous! I did under estimate the weight of the beads. I don't care for acrylic beads either and I like the look of the glass. Thanks for the positive comments. I love your necklace made with the Green Girl Studio pewter pendant. So beautiful! I am not sure what suggestions if any I can make, but unless you are willing to use a heavier gauge wire for the framework the only thing I can think that would make it more stable is to make a much smaller version. But I am no wirework wizard. So good luck with figuring this out. I really love your wire moon, and I like that it isn't perfectly round, it adds to the charm. If you do want to try it again, bronze wire might be a bit stronger? Really love your necklace design too... that pendant is a stunner! I think your moon already looks really cool but I can understand that between the ideas in ones head and the first test piece one can grumble a little bit. I so love how you took the flower idea to a new theme and as frustrating as it sometimes is, learning takes failure. I don't have too many ideas to help you because I don't have any patience at all for wire wrapping projects (I tried ;) ). Not sure if it would help to hammer the wire frame to work harden the wire more? What lovely pieces you created Kathy! I REALLY love the necklace such a great design. 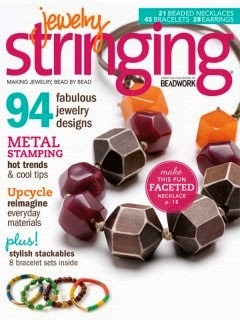 With regards to the copper moon maybe hammer the design a little to stiffen the copper before you wire wrap the beads? It might work, but I really love where the design is going! Aren't learning experiences fun? It's a lovely piece and I do hope you can figure out how to make it more structurally sound. I never was much of a wire wizard, more of a tinkerer, and I haven't done much of that in FOREVER. 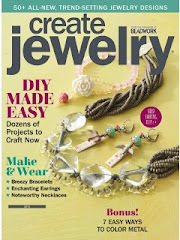 I also love the pearl and pewter necklace you did last year. Thanks for reading AE and for participating in another challenge! Looking forward to seeing you in future challenges. The pewter necklace is stunning; glad you shared it for this challenge. I love your concept for the wire necklace. I've had similar challenges working out the kinks in wire designs. I hate to waste wire but sometimes do have to go through a few attempts to get something that looks good and is structurally sound. 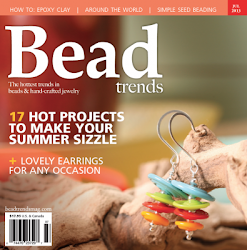 I agree that work-hardening the wire frame before wrapping the beads is a good idea. You could try using 14-ga in place of the 16, but I think hardened 16 would do. Beautiful designs. Ah, when the muse strikes hard but the god of engineering has left the building? This happens to me regularly too! I think Niky's suggestion of hammering the wire could help trememdously, but you may have more luck with a premade hoop (for wreaths or dreamcatchers), or even a trip to the hardware store. They have much thicker gauge copper by the foot, and while it is difficult to bend without a torch, I think you could easily get a couple of feet so form a circle and wrap the tar out of the overlap for stability...Whatever way you go, I do hope you will share the results! Thank you for playing along with us! I hope to see your creations next month too! 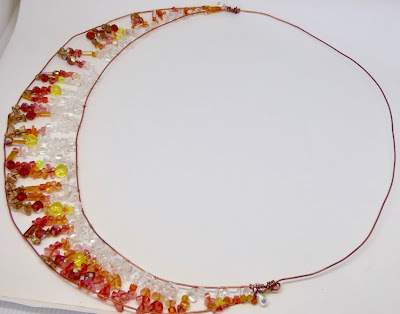 The necklace is beautiful, Kathy, and I love the concept of your wire moon project! I'm no wire-work expert, but I too wonder if work hardening might do the trick... Hope you figure it out one way or another. What a beautiful idea for a suncatcher/door decoration! And your moon necklace is just stunning. It's always a joy to read your blog posts Kathy. I enjoyed seeing your interpretation of the challenge. 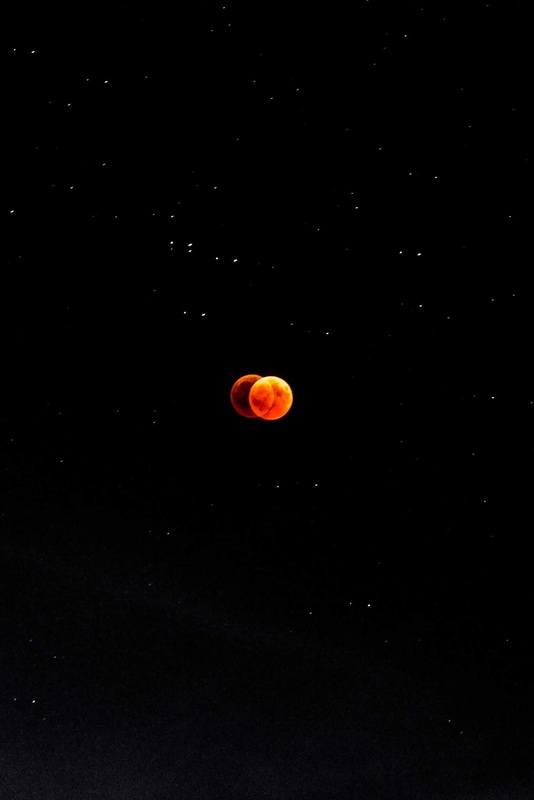 I think your strung bead necklace for the blood moon is a fantastic idea! I find it hard to work with wire too and admire your efforts to create a dynamic piece! 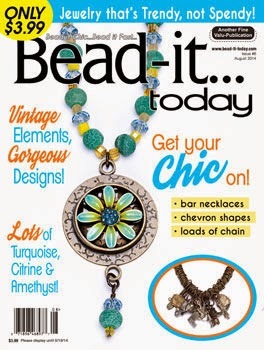 The moon pendant necklace is a stunner too - love that mix of beads with the pendant. Hello, Kathy! Your artwork is lovely, and I really appreciate the work you put into the beaded creation. I don't know if I would have the patience for that, but I'm glad you do -- it turned out wonderfully.